You can't help but think about the quote above after taking a look at this stunning photo from PAM Transport Driver Mentor, Josh Yates. He snapped it in Quitaque, Texas and captured the perfect backdrop behind his PAM Transport truck. It's times like the moment Josh captured here when you can truly appreciate the beauty of our country and the perks of being a truck driver. Sure, there are days when a truck driving job can be challenging. But then there are times like the one above. Times when reality sets in. And the reality is that truck drivers have a job that allows them to see parts of the USA that most people will never get to see in their lifetime. If you love to travel, enjoy driving and are always looking forward to the next big adventure - then a trucking job could be right for you. So, take another look at the photo above and consider the question, "Can I see myself as a trucker?" 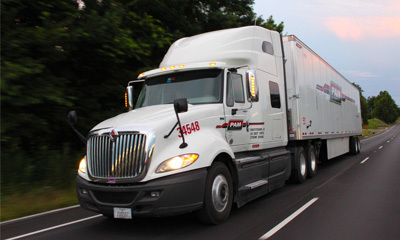 Driver Solutions and PAM Transport can help you get the CDL training you need to become a truck driver. Start your career now and you could be traveling the USA making up to $50,000 in just the first year! Just take a few moments to complete our online driver application now.